Paige helps ground Center City Pediatrics as a real Philadelphia institution. She is “home grown” and has always been devoted to the children of Philadelphia. While growing up in the Philadelphia suburbs, working with kids was always her passion. Throughout high school and college, she helped make ends meet by working with many families as a nanny. She chose a career in nursing, knowing that she would focus on pediatrics. After graduating from LaSalle University, she worked in the Neonatal Intensive Care Unit at Einstein for 4 years. Becoming a pediatric nurse practitioner was her ultimate goal. While working at Einstein she started her course work. 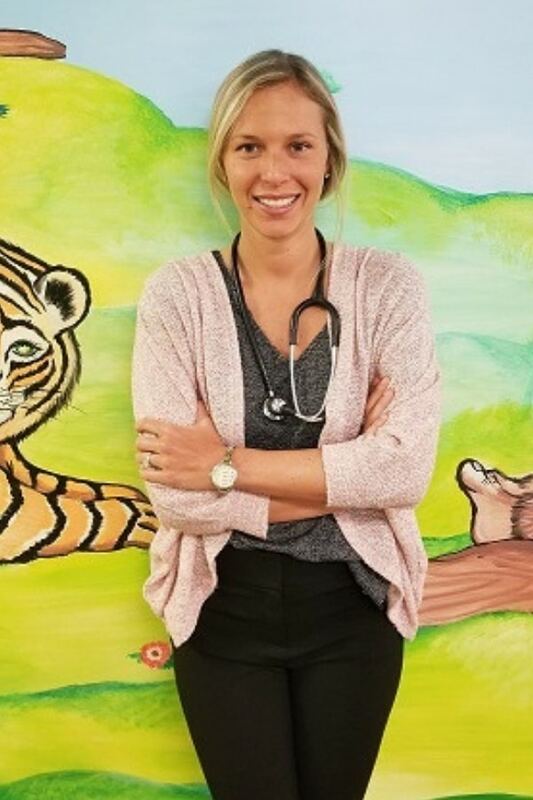 In 2017, she graduated from Gwynedd Mercy University, with a focus on primary pediatric care. She then joined a busy pediatric practice in Northeast Philadelphia. Knowing she has pediatric experience, both personally and professionally, Center City Pediatrics is proud to bring her on board. In addition to helping treat all of our families, we anticipate she will improve our “Philly IQ.” She is a longtime Philly sports fan and loves to go “down the shore.” In her spare time, she also enjoys playing sports, traveling, and spending time with her Philly family and new fiancé.